In the jewelry insurance business, the word jewelry includes different sorts of adornment, such as bracelets, necklaces, rings, earrings, watches, etc. However, the meaning is often more precious than its price; a symbol of love, unforgettable memory or a significant moment in the past. Considering these invaluable meanings, jewelry is priceless. Hence, you may feel devastated if you lose such a possession. Usually what happens, when placing jewelry on a standard homeowner’s or rental policy, their items are not covered properly. Thus, it is better to sign up for a standalone personal jewelry insurance policy. This policy enhances and provides higher limits while a homeowner policy only covers jewelry up to some point. For instance, if you have a $15,000 ring that has been stolen a typical homeowner policy only covers from $1,000 to $1,500 due to the sub limit within the policies. What kind of coverage is there in jewelry insurance? There are two types, itemized coverage and blanket coverage. Itemized coverage is a schedule of items describing what will be insured including the insurance value. Some companies require appraisals that value and descriptions are written in. In the event of loss, the insurance company will pay based on the value in the schedule. The appraisal is used to verify authenticity, so that payment would be made without any dispute. When insuring multiple items of lesser values, blanket coverage is the suitable option. It covers multiple pieces under certain total policy limit; some policies have a maximum per item value and a maximum per loss limit. This can be positive if you own many types of valuable articles that are relatively under $25,000 but cumulative into hundreds of thousands. Then how does jewelry insurance work? There are two ways that insurance companies can handle this. First is to compensate what they have been claimed. The insurance company will pay you cash and the amount depends on which compensation valuing method the company chooses, between replacement cost and actual cash value. According to the Insurance Information Institute, replacement cost is to pay the amount of cash required for replacement but limited by the maximum dollar amount shown on the declaration page of policy. Actual cash value pays the dollar amount of replacement cost minus depreciation. The second one is to repair or replace the valuable articles rather than receiving cash to replace the item. With this option there are no worries as to how much you will get reimbursed, since the insurance company will repair or replace the jewelry with the same quality of the original one. Since there are many insurance carriers with different terms, it is difficult to find the best suitable insurance without speaking to a knowledgeable Insurance Broker. Here are two tips for choosing the right company for personal jewelry insurance. First, look for a policy that does not mandate you replace an item to receive the full value of the settlement. Second, select a company that makes it easy to insure your jewelry by requiring appraisals only on high value pieces. Here is information on several companies dealing with separate jewelry insurance. Bernard Fleischer & Sons Inc has teamed up with AXA Insurance Company to provide a countrywide insurance product with worldwide coverage, in other words, the coverage travels with the policyholder. It covers many kinds of losses including accidental breakage, fire, theft and mysterious disappearance. No appraisals are required on items under $50,000 and in collaboration with fine art insurance, the coverage can be as much as $2,500,000 and more. They use a blanket policy up to $250,000 and then switch to Schedule as the value increases. The most significant item is that for your coverage, you will get compensated with cash, rather than the repaired or replaced pieces. Jewelers Mutual, one of the historic companies in jewelry business, provides worldwide personal jewelry insurance. They cover various losses, similar to AXA, from theft and damage to mysterious disappearance. Their coverage is different because it is based on the repair / replacement insurance, which the company pays directly to the jeweler and the insured is responsible for his or her deductible. Some of the customers are happy with their service while others are dissatisfied with their policies. For instance, not covering wear and tear peril and not insuring the replaced jewelry. Nevertheless, the company shows consistent concern for their customers, since every review has comments from Jewelers Mutual on it. Chubb, another historic insurance company, has worldwide insurance for valuable jewelry articles. 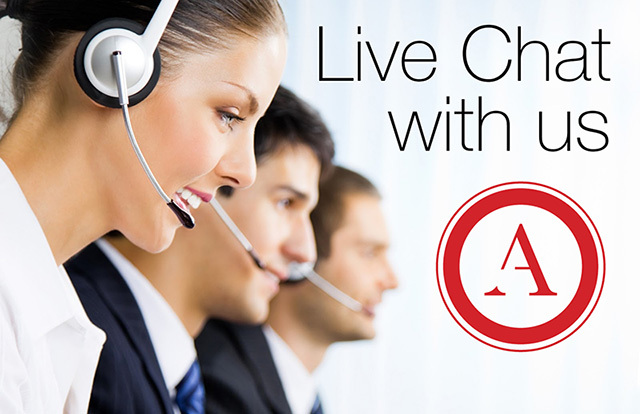 They provide worldwide all risk coverage for most causes of loss and mysterious disappearance. Also they provide automatic coverage for newly acquired items which are up to $50,000 for 90 days on the premise that customers have already itemized jewelry on Chubb policy. New appraisals are not required for jewelry under $100,000 and offer an endorsement paying up to 150% of the amount itemized on the policy to protect customers from inflation. Another big insurance company, Travelers provides jewelry insurance along with valuable articles. These valuable items include jewelry, pedigreed dogs and guns. There are two options that customers can choose. One is Personal Articles Floater, which can be purchased separately and it is for more expensive valuables that exceed the coverage provided by residential policies. With this policy, every item should be listed with its description. The other is Valuable Items Plus, which is available as an add-on coverage to homeowners insurance, which works as a blanket coverage up to certain cost. Lavalier, administering insurance policies issued by Berkley National Insurance Company, manages only jewelry insurance. Lavalier policy provides repair / replacement and all risk is covered except for the wear and tear, manufacturer’s defect and intentional loss and damage. Provided that the customer has at least one item scheduled, they also provide unscheduled coverage with $1,000 per item limit and $5,000 total value limit for jewelry of lesser values. Moreover, only items above $5,000 require appraisals and for items valued under $5,000, sales receipt can take the place of an appraisal. Things To Know About Coverage For Jewelry And Other Swag. Your Homeowners Insurance May Cover partially What You’d Pay to Replace High-Value Watches, Rings, Necklaces, Bracelets and other Items. Standard homeowners and renters insurance policies include some coverage for jewelry and other precious objects such as watches and furs. Like other possessions, high value items are covered for losses caused by all the perils included in your policy such as fire, storms, theft and vandalism. However, there are special Sub-limits of liability for certain items, simply meaning that the insurer will not pay more than the amount specified in your policy. One significant limit is for the theft of jewelry. To keep coverage affordable, because jewelry can be easily stolen, standard policies have a somewhat low limit for theft coverage, generally $500.00 to $1,500. If you own costly jewelry or other items that would be difficult to replace, there are two ways you can increase coverage: by raising the limit of liability, or by “scheduling” your individual pieces through the purchase of “Special” Jewelry Policy. Raising the limit of liability is the least expensive option in terms of insurance premium cost; however, there is generally a limit on the amount you can claim for the loss of any individual piece, say $2,000, when the overall limit is $5,000. We recommend buying a Blanket Jewelry policy which includes all your items, and in most cases the best value for your insurance dollar. Choosing the right Insurance policy is personal. Our Blanket policy pays claims based on current Market value and is limited to the total limit you purchase. Why you should be insuring your Jewelry. The differences in homeowner’s policies and Jewelry coverage are vast and it’s best to make sure you are covered properly. The typical per-theft claim limit is $1,000 on a homeowner policy without a schedule. That’s the jewelry limit for an entire claim, not a $1,000 limit per item Homeowner policies also have deductibles which apply to Jewelry. Many homeowners’ policies exclude if you lose stones. If the stone falls out of the setting, you’re not covered at all. Most insurance companies include the jewelry insurance with sub-limits of $500 in their standard homeowner policy. With our standalone policy, we can increase the limit up to $250,000 and include watches, silverware, collectibles and art collections. Diamonds may be a girl’s best friend, but when diamonds go missing, insurance is your best friend or your worst enemy if you don’t have enough coverage. Value, sentiment, emotion, and your aversion to risk should all play a part in choosing an insurance policy for your jewelry. This is where our newly expanded jewelry coverage fills in the gaps. Our program insures your Jewelry on a blanket basis up to $250,000. The only requirement is items valued over $50,000 must have supporting documentation. 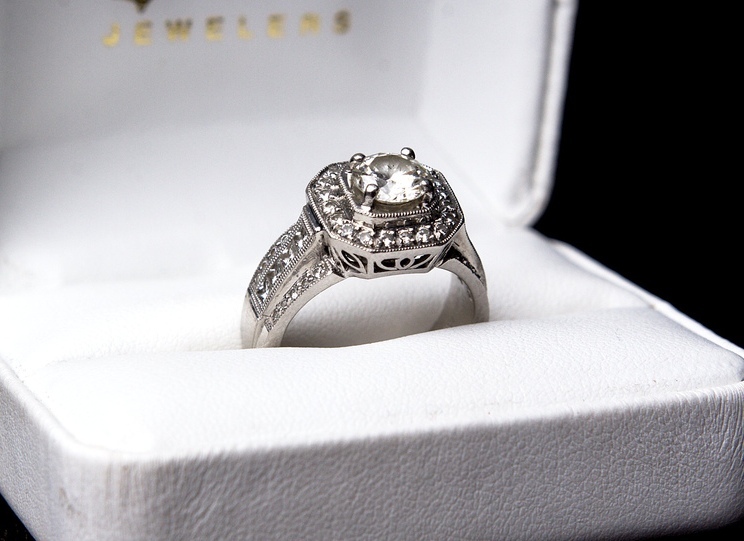 We insure your Jewelry on a blanket Basis, only Items over $50,000 require to be scheduled. This lets you insure all your items, hassle-free. There is no requirement for appraisals for items under $50,000. 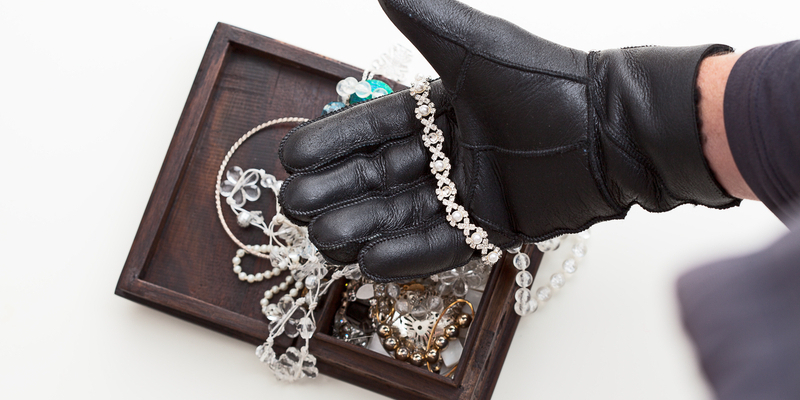 Some policies will only cover theft or loss due to a disaster claim, we realize that you can’t always pinpoint how or where your jewelry disappeared so we cover mysterious disappearance, coverage that’s often overlooked by other policies. Homeowner’s policies do not cover outside of the home, our coverage follows you worldwide. Never worry about having to leave your favorite jewelry behind. Damage to Rings, Watches, and Necklaces? Diamonds are the hardest known mineral, they still aren’t impervious to harm. Diamonds can crack when dropped on a hard surface or fall out of their settings when subjected to impact. Rubies, sapphires and other precious stones are also susceptible to chipping, cracking, or breaking. Emeralds are especially brittle, and pearls can easily be damaged or crushed if improperly protected. Homeowner’s policies typically do not cover damage to your rings, watches, and necklaces. Many people have a preferred jeweler, as opposed to just having someone trying to sell you something in the display. A Personal Jeweler really gets to know you and your tastes. Well, you won’t have to give them up. When placing a claim with us you get the same quality workmanship that you are used to. There is sentimental value in the keepsake, our policies give the option of repurchase if lost or stolen and later recovered or it declared a total loss. For more information visit artinsurancenow.com, call us at 800.921.1008 or fill out EZ application here. The impact of a jewelry claim is serious! Jewelry loss counts as HO loss. Jewelry losses hit CLUE and PILR reports. Client loses homeowners’ “claim free” rating. HO policy is difficult to re-market after a loss. “Mysterious disappearance” claims, in particular, are red flags. HO policies have capacity limitations. Many HO carriers will not cover higher-value jewelry. Higher value per piece – expensive jewelry not excluded. Co-insured (for example, fiancé) can be listed. Illustrated scheduled shows (as well as describes) insured jewelry. Jewelry claims do not impact homeowner coverage. Specialty Jewelry Collections AXA Art Policy HighlightsAXA Art recently launched a specialty jewelry product for private collectors of classic antique and designer jewelry. The mono-line, broad coverage product is available in the United States for schedules in excess of $500,000 for focused collections ranging from ancient to vintage to contemporary jewelry.Our specialty jewelry product offers affordable, all-risk coverage on a worldwide basis. The policy can be written as a separate policy or added to an existing fine art policy. This new jewelry collection policy is offered in addition to our scheduled jewelry product for values below $500,000. AXA Art launched a specialty jewelry product for private collectors of classic antique and designer jewelry. 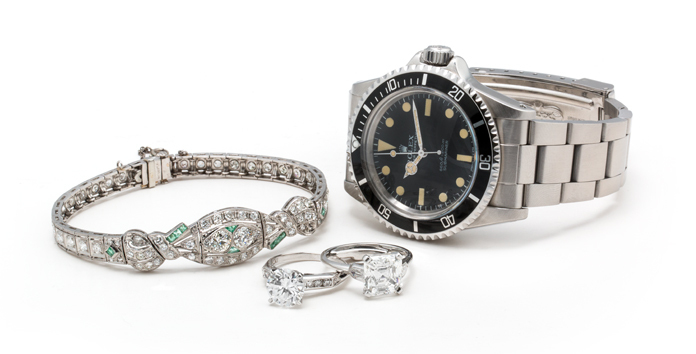 The mono-line, broad coverage product is available in the United States for schedules in excess of $500,000 for focused collections ranging from ancient to vintage to contemporary jewelry. Our specialty jewelry product offers affordable, all-risk coverage on a worldwide basis. The policy can be written as a separate policy or added to an existing fine art policy. This jewelry collection policy is offered in addition to our scheduled jewelry product for values below $500,000.